Europe’s leading Blues & Rock publication, Classic Rock’s ‘The Blues’ Magazine, called Danny a “National Blues Treasure”, a title that he has worked tirelessly and passionately to earn. Riding high on the European blues scene for over a decade, Danny has carved a name for himself the old-fashioned way having played over 2000 club and festival shows to his many fans around the world and is acknowledged by those in the business as one of the cream of the crop. Following many sold out club tours across Europe and numerous major festival appearances that have seen the power trio perform on the same bill as such names as Joe Cocker, Carlos Santana, Buddy Guy and Peter Green to mention a few; Danny and his band have steadily carved a huge and loyal fan base around the world. In 2007 Danny signed with Rounder Records and released three highly successful albums with this Label, all of which topped the iTunes and Amazon blues charts in many countries. In 2009 Danny signed a licensing deal with Virgin/EMI Asia and a track from his 2007 release, ‘Live’, was included on a compilation CD entitled “The Best Blues Album In The World Ever”. Danny was featured alongside many giants of Blues, including Johnny Winter, Gary Moore, Albert Collins, Walter Trout and ZZ Top. February 2010 saw the release of Danny’s break-through album “Just As I Am’, hitting Blues charts all across the continent and receiving glowing reviews from the international music press. The album caught the ear of German based label Jazzhaus records leading Danny to ink a deal with the dynamic new label. 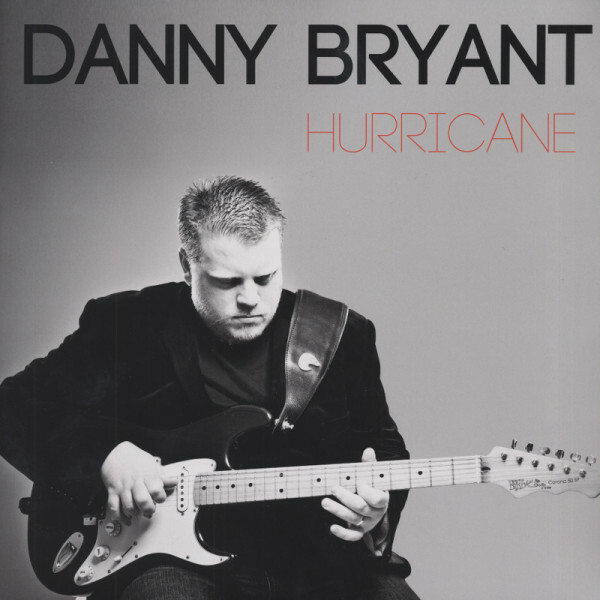 Danny’s next studio offering 2013’s ‘Hurricane’ saw the beginning of a long time collaboration with producer Richard Hammerton. Hammerton pushed Danny to a new recording high. Their next release, Temperature Rising, hit the shelves in September 2014 to glowing reviews. Guitar & Bass Mag called it, ’A blues rock gem.’ Leading website music-news.com awarded it 5 stars and said it was ‘Just stunning’. The album appeared in many end of year ‘best of’ lists for 2014, most notably chosen by Amazon Germany/Austria/Switzerland as one of their top picks of 2014. This lead to ‘Temperature Rising’ returning to the number 1 spot on the blues download chart and staying there for over 6 weeks, ahead of such acclaimed artists as Johnny Winter, Joe Bonamassa & Buddy Guy. Having out sold his previous bestseller, Hurricane, within the first three months after release, the success of Temperature Rising was apparent for all to see.